There are many variables that impact your safety on the road. Some of these, such as harsh weather conditions or the actions of other drivers, are out of your control. However, you are able to control variables that are impacted by your actions. By driving defensively and maintaining sharp awareness of everything occurring on the road, you can often avoid an accident. The following tips are meant to help you minimize your risk of a car accident when you’re driving, but they’re not fool-proof. In the event that you’re injured in a collision caused by the negligence of another driver, it’s crucial that you work with an experienced accident lawyer who can help you recover the compensation you deserve. 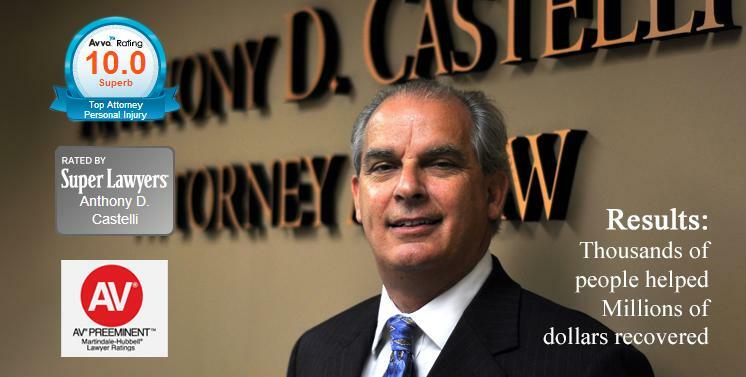 Anthony Castelli is a Cincinnati accident lawyer with over 30 years of experience handling all types of motor vehicle accident claims. The best way to learn about your rights and options after being injured in an accident is to speak with Mr. Castelli in person. Please call (513) 621-2345 today to schedule your free personal injury consultation at our Cincinnati office. Aggressive drivers threaten the safety of all others sharing the road with them. While the actions of aggressive drivers may be infuriating, you don’t want to engage these vehicles in a manner that may create an even more dangerous situation. By proceeding cautiously and defensively, you can potentially minimize your chances of getting into an accident during these situations. Get out of the way – Keep a safe following distance from the vehicle so that you’ll have ample time to react if the driver acts erratically or unsafely. Put your pride aside – Do not challenge the aggressive driver by speeding up, passing the vehicle, or attempting to hold your own in your travel lane. Avoid eye contact – Eye contact can sometimes enrage an aggressive driver. Avoid gestures – Ignore angry or offensive gestures and refuse to return them since this may escalate a tense situation. Report serious aggressive driving – You or a passenger should call the police to report the situation. If you don’t have a passenger in the vehicle, make sure you pull over to a safe location before making the phone call. Adverse weather such as rain, snow, wind, or fog can create dangerous driving conditions. It can be more difficult to maneuver the vehicle and your stop time increases, making it harder to avoid obstacles in your path. Turn on your headlights – This will make your vehicle more visible to others on the road. Maintain a longer following distance than normal – It can be harder to stop or safely change lanes on snowy or icy roads. Keeping a longer following distance will give you the time to get out of the way of an impending collision. Avoid passing other vehicles whenever possible – It’s easy to skid or hydroplane on wet, icy roads. If this occurs while passing another vehicle, the results can be disastrous. Make sure your actions are deliberate – Communicate all actions to other drivers on the road very clearly. Always use turn signals, and don’t change lanes unexpectedly. Reduce your speed – Driving at a slower speed will make it easier to maneuver your car and stop safely during adverse weather. Take pictures at the accident scene – A cell phone camera will work fine. Make sure you get photos of the damage to all vehicles involved, the positioning of the vehicles if they weren’t moved to the side of the road, and any indications such as skid marks which may provide insight as to how the accident was caused. Get contact information for any witnesses – Record the name and phone number of any witnesses who can verify your version of what happened. Request a police officer – Call for a police officer to investigate the accident scene and fill out a report. If the police report indicates the other driver was at fault, it can significantly help your chances of a successful outcome to your accident claim. Seek medical attention immediately – This is important even if you don’t think you’ve been injured. Sometimes it can take days or even weeks for accident injuries to develop symptoms. It’s crucial that you document your injuries right away so that you can prove they were caused by the accident. Also, prompt treatment will often give you the best chances of a full recovery, especially in the event of a serious brain injury. Speak to an experienced accident lawyer at once – Don’t sign any waivers, releases, or statements from your insurance company or admit fault without speaking with an accident attorney first. Doing so may jeopardize your ability to recover compensation. 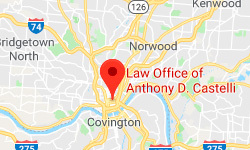 If you need the assistance of an experienced accident lawyer, please contact the Law Office of Anthony D. Castelli using the form on the right side of the page or call (513) 621-2345 today to schedule your free consultation. Mr. Castelli serves clients in Cincinnati and throughout Ohio.